I have to admit that as much as I love a good deal, I never expected too much out of E.L.F. (Eyes Lips Face) Cosmetics. Now I’m all for drugstore brands but I thought, “as low as $1 for makeup?? It can’t be that great.” Well, I have to say that I’ve been proven wrong. My first experience with E.L.F. was with their makeup brushes, which I think are phenomenal given the price (plus they always do those 50% off sales.) I’ve also tried a few miscellaneous E.L.F. products here and there and they were either good, decent, or really bad. However, I’ve found something that’s absolutely amazing for the price of only 3 smackaroos. Let me introduce you to E.L.F.’s Eye Transformer from their Studio Line. I have to admit that I've had this palette for months now. When my E.L.F. package arrived, I was loving the brushes so much that I sort of just tossed this aside and forgot about it. The palette looked boring and bland and it immediately got shoved into the back of my makeup drawer without even being swatched. Oh the horror!! Well the other day, I saw Karen's review on the Smashbox Eye Illusion and I thought, "Hey, I think I have something like that!!" 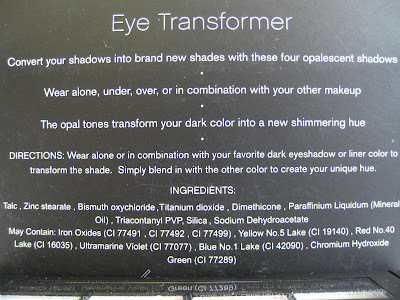 I dug out the Eye Transformer palette and found out it was exactly (at least from what I can tell) like Karen's Smashbox trio. Let's review! The Packaging: The packaging is matte black and cheap looking. There's a little "window" that displays the shades which is nice so people know what they're buying in the store without having to pry it open and damage it –don't you hate that?! Anyways, it's sturdy enough so I guess that's good but there's nothing unique or great about it but for $3, I don't expect fancy packaging. There's also a brush included. It's not the greatest brush but it gets the job done (it doesn't hold a lot of shadow so I have to keep reaching for more color.) It's convenient and will get you by if you don't have another brush. I have to mention that these eyeshadows are NOT made to be used by themselves (although I did say you can use them as highlight shades.) I saw so many negative reviews on the E.L.F. website saying that the colors didn't show up/didn't work etc. but they really do work if they're used correctly. 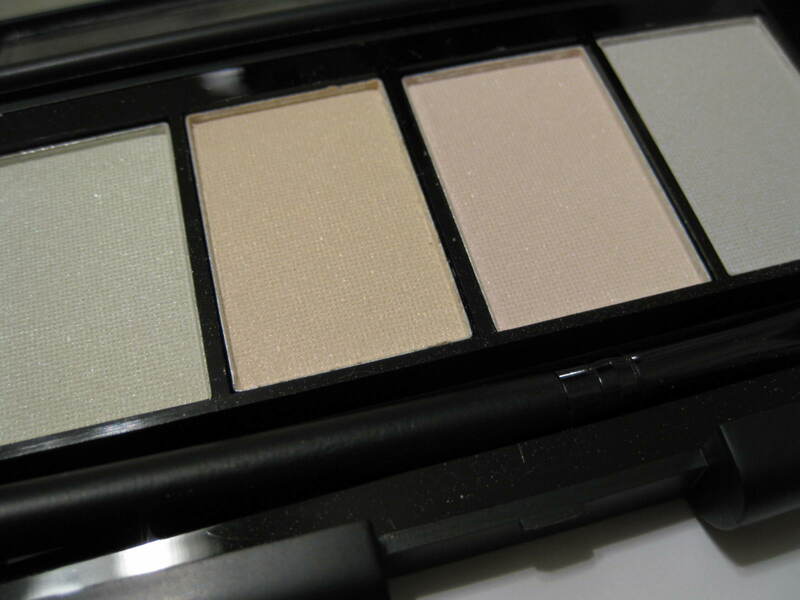 The eyeshadows themselves are a bit powdery and chalky but they do get the job done. 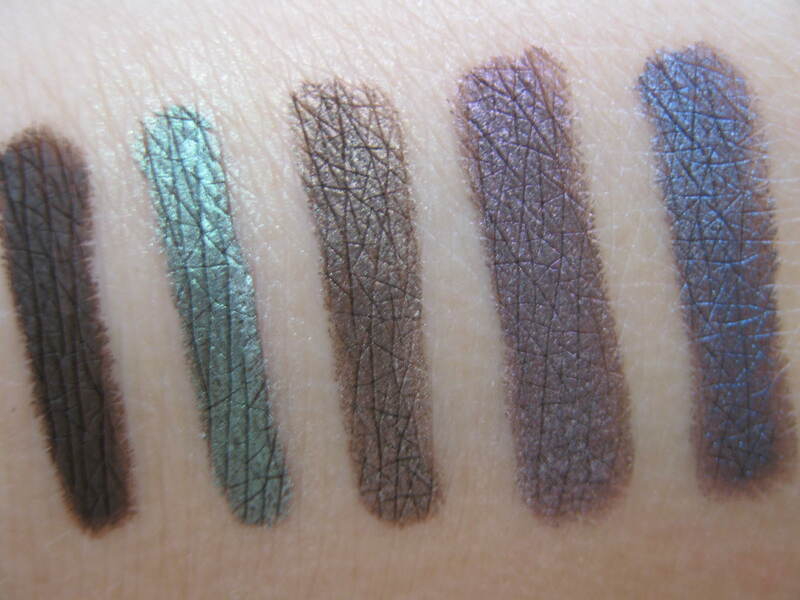 They're not extremely pigmented so it's not a "1 swipe" type of shadow –more like the "3 swipe" type. 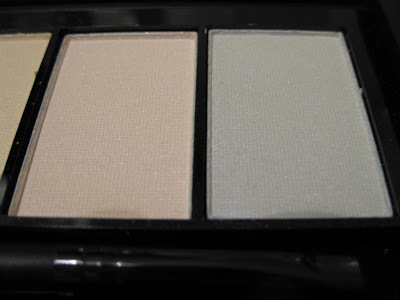 They feel fine on the eyes just like another eyeshadows and last all day with a good primer (UDPP/TFSI/MAC Paint Pot.) Without primer, don't expect it to last long -my hand swatches rubbed off easily with no water/makeup remover, etc. I like using the shades best over my eyeliners. I find that eyeliner packs on more pigment so you really get the full effect with these. It's absolutely amazing how this can totally change the color/effect of any of my eyeliners. It also gives the colors a lot more shimmer and lots of life. Over eyeshadow, it worked but I don't see myself using the palette for this purpose. The reason is because eyeliners are just more pigmented than shadows. With my shadows, I only saw a light "tint" in difference. For instance, when I applied the "pink" from the E.L.F. Eye Transformer on top of brown eyeshadow, it only made the eyeshadow lighter and gave it a slight shimmery pink tint. 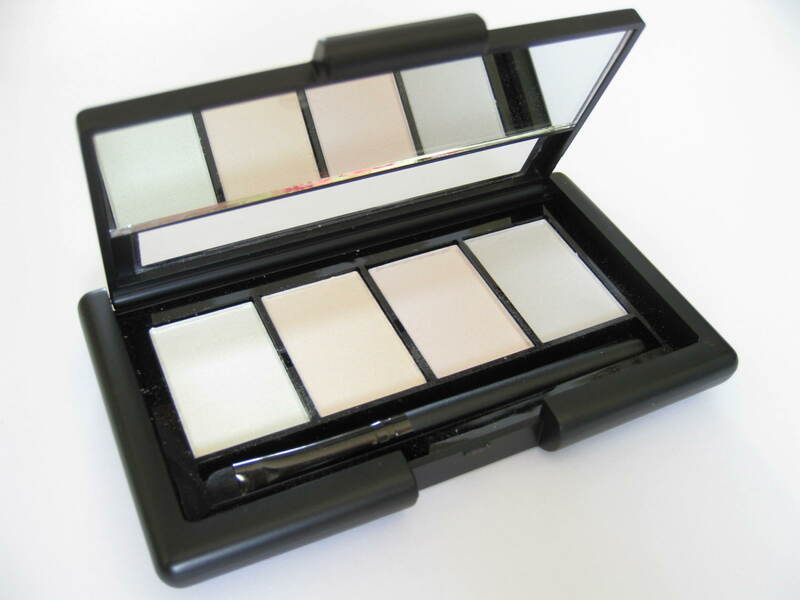 This will definitely work over more pigmented shadows though –just be sure to really pack on the eyeshadow so that it's super pigmented and dark to begin with since the Eye Transformer shade will make it lighter. There are other products out their that are just like this but they're priced a lot higher. 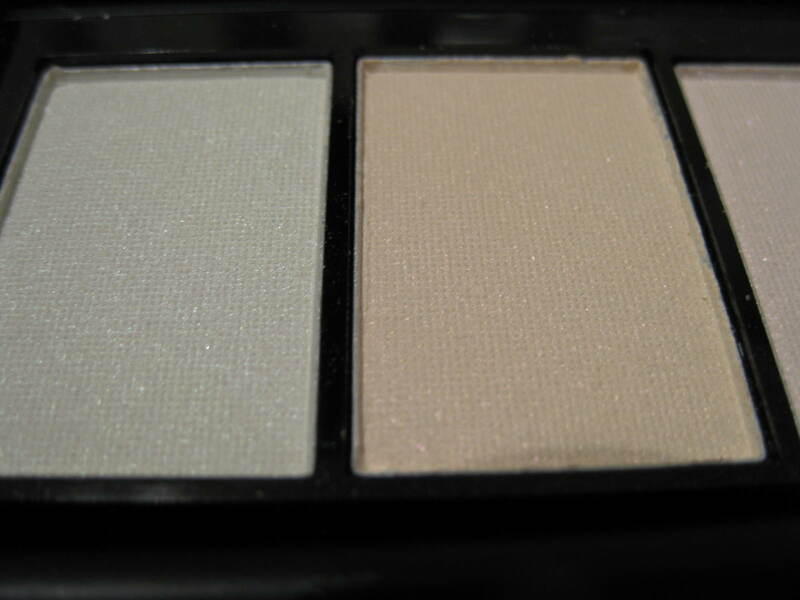 There's the Smashbox Eye Illusion like I mentioned earlier and it's $28 compared to $3 for the E.L.F. 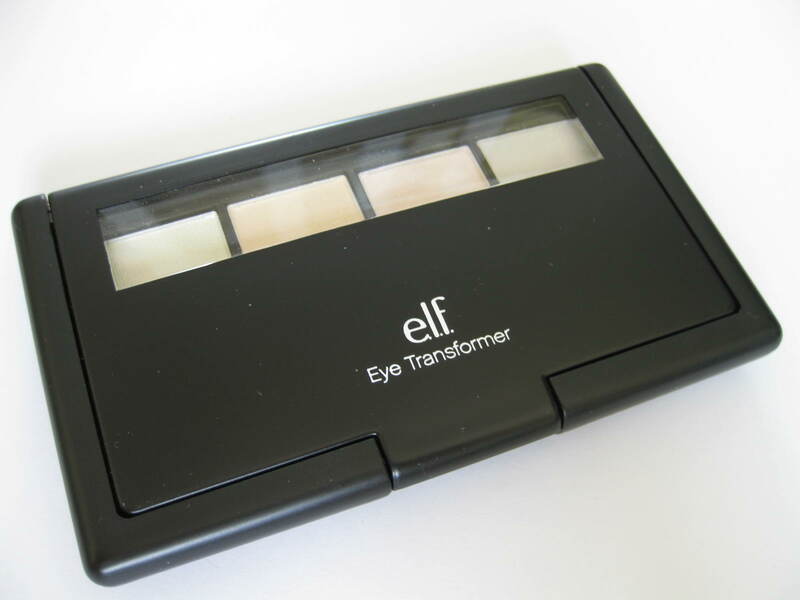 Eye Transformer. There was also a quad at The Body Shop that had the same exact colors (I think it's recently been discontinued.) I used to love the one at The Body Shop but never wanted to pay the (around) $30 for it. I'm sure there's a bunch more but I doubt any will be cheaper than the E.L.F. version. The Color: All are shimmery and iridescent. 1. Green- Light, springy, pastel green with a touch of yellow. 3. Pink- Light pastel pink. Above (with flash) from left: E.L.F. 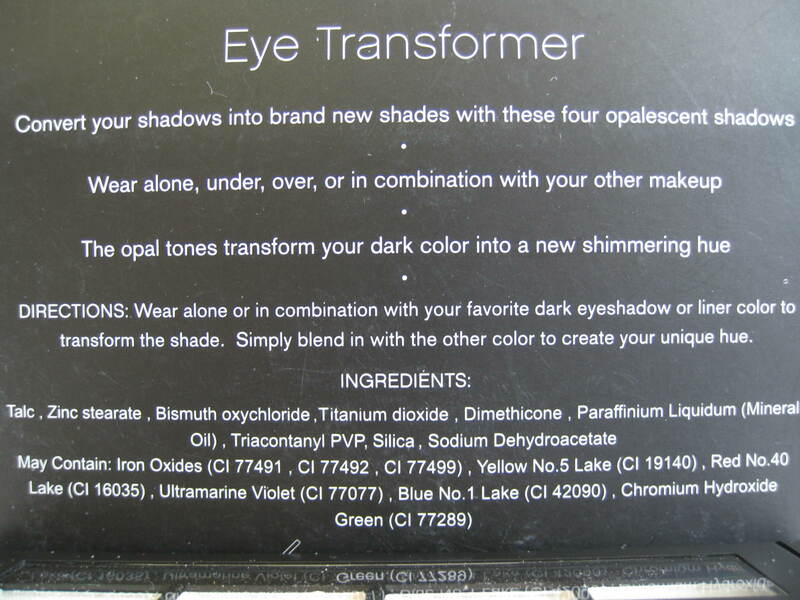 Eye Transformer in Green, Gold, Pink, Blue (All applied over black liner.) Don't they look like MAC Pearlglides?? Overall: Although they shadows from the Eye Transformer Palette are a bit powdery, they work perfectly fine and do what they're supposed to do. I love how they change the color of my eyeliners/shadows –especially the liners. I think this is perfect for anybody on a budget and would like to own more liners/shadows. I liked this especially for my liners though because I felt that it changed the effect/color of the lighter and darker shades but when applied over eyeshadows, it only worked really well for the darker, more pigmented shades. I'd recommened this to any and every beauty junkie –come on, it's only 3 bucks! Thanks for this review! I agree, I've heard people saying it didn't work for them but probably because they weren't using it properly! I actually have this palette but haven't played around with it yet. I think I'll have to go dig it out of storage lol I love the effect it has on eyeliners!!! You're welcome. =) Definitely give it a try! Like you, I didn't use it for months but I'm so happy I've rediscovered it. I absolutely love the way it changes up my eyeliners. I'm so glad the review helped you dear. =) Like you, I heard many bad reviews too prior to using the palette so I didn't really bother with it. I'm so amazed with the way it changes my eyeliners though -it's definitely a keeper in my book. You're welcome. =) I hope it works for you!